So a P+N+E cable would have one pin with power (1 phase), one with neutral, and a ground. and a 3P+N+E cable would have three powered pins (3 phase) with a neutral and ground. 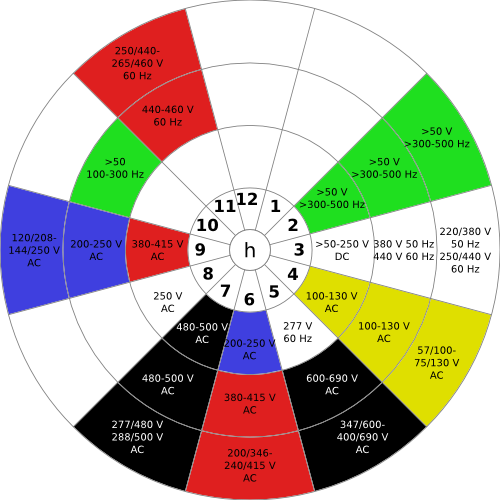 The color code is based on the voltage and possibly the frequency (Hz) of the power going over the cable. The diameter of the plug is for the amps running over the plug. The location of the ground pin to the "key-way" helps set what kind of VA's the plug can handle.